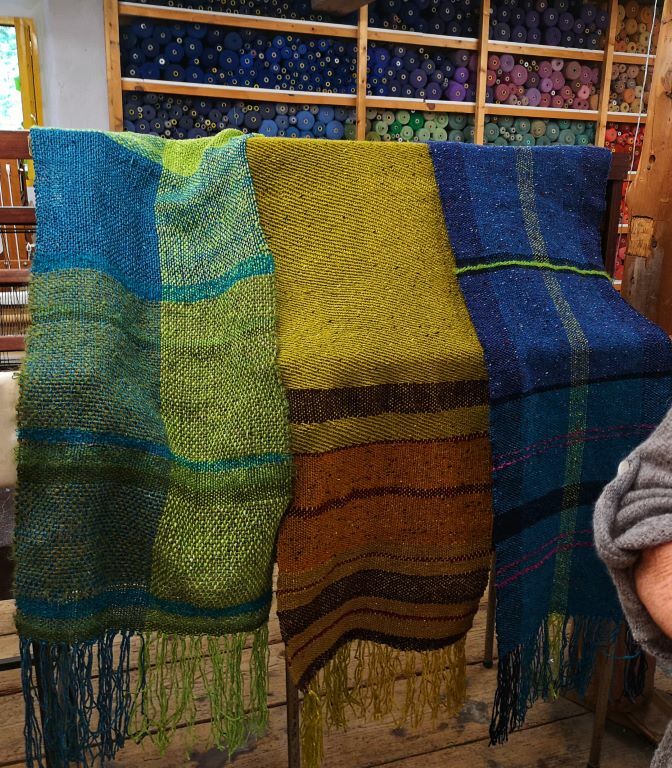 Home / Take a truly wonderful weaving class! This is an article written by a friend, former spinning student and fibre addict. Hope you enjoy reading and take this course! Fibre crafts are addictive, aren’t they? You start off learning one, but soon you will be tempted by a complementary craft or two to add to your repertoire. So it was for me; not long after I had learned to spin (in a Meet The Wool workshop taught by Sandra!) Then I was lured by to the joys of dyeing my own spinning wool. Once again it was Sandra to the rescue, ever the enthusiastic, knowledgeable teacher, in the form of one of her Natural Dyeing workshops. 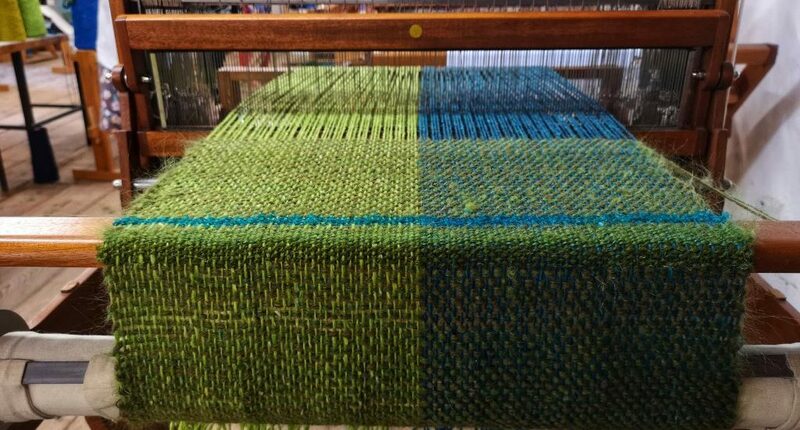 Hot on the heels of this new skill was the siren call of Weaving! Sandra herself was hearing the call to learn to weave; in fact, once again she was my enabler! 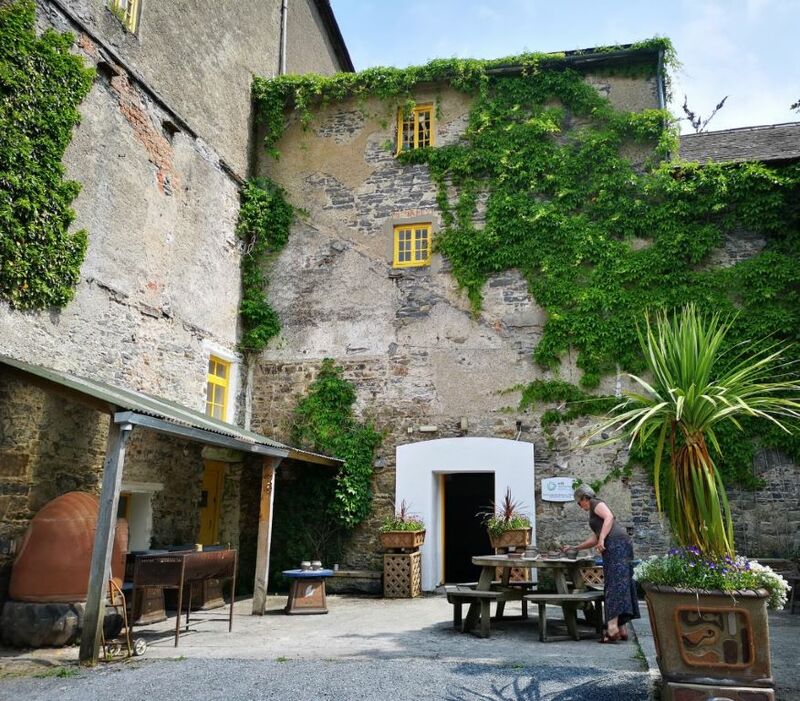 She’d signed up for a 4 day beginners & improvers weaving course, and tempted me with the delights of learning to weave in the charming stone buildings of the Grennan Mill Craft School in Thomastown, Kilkenny. 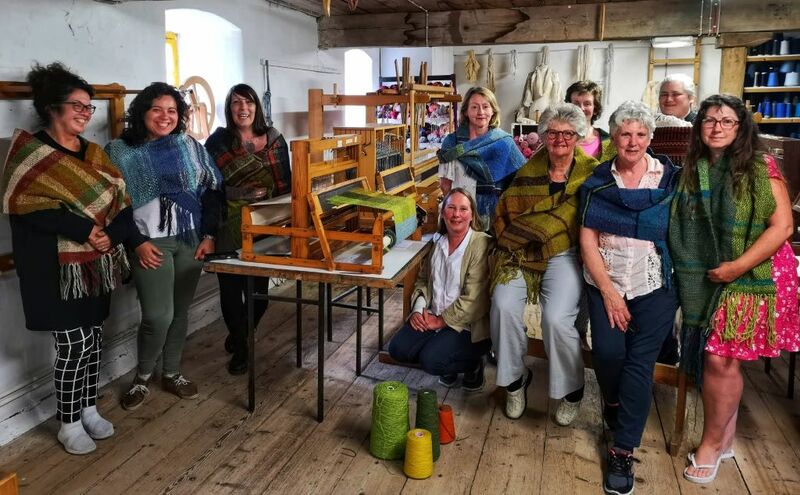 We reeled another craft lover in, and the fates were set– we three women would add another notch to our fibre craft belts this summer! The craft school has many looms; most table looms and a few floor looms, and we set up and wove on our own loom in a large airy room near the top of the mill. The wonderful scent of wood from the well worn wooden plank flooring and the wooden looms themselves welcomed us each morning as we all entered, chatting away to each other– the entire group of participants were friendly, helpful folk. Maybe this is a trait of most crafters– happy in sharing their knowledge and experience!